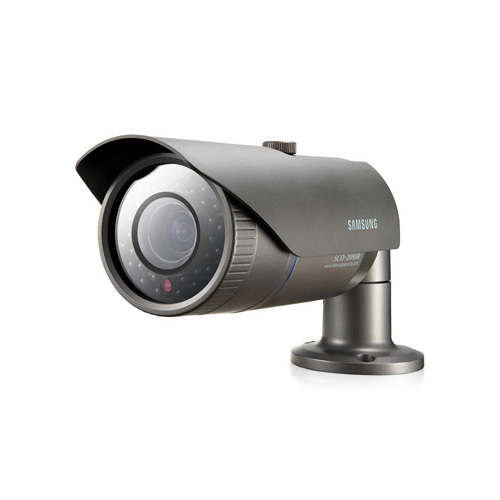 The Samsung SCO-2120R is a analog IR bullet camera that offers 600 lines color, 700 line B/W resolution and 70m of IR distance. This camera is equipped with a built-in fixed lens and 16x digital zoom, for precise monitoring. A minimum illumination of 0 lux makes the camera suitable for nighttime surveillance. It features SSDR (Samsung Super Dynamic Range) that balances the overall brightness by illuminating the darker areas to the same ratio as the bright areas, and produces clear images under high-contrast lighting conditions. With IR LED, the camera can offer evenly-distributed night vision. 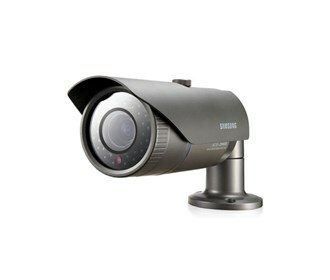 The Samsung SCO-2120R has many exciting features for users of all types. The Samsung SCO-2120R is sold as a Brand New Unopened Item.